An influential committee of MPs is putting more pressure on the UK's financial watchdog to publish a report into misconduct at RBS. The Treasury Committee said it could use "formal powers" to demand publication of a Financial Conduct Authority report leaked to the BBC. 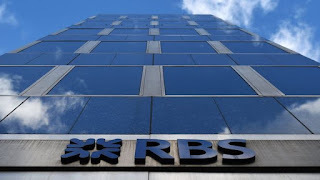 The FCA has refused to publish the full report, which scrutinised RBS's small business Global Restructuring Group. The FCA has said it will publish a detailed summary of the report. Nicky Morgan, chair of the Treasury Committee, wants to appoint an independent legal adviser to scrutinise the detailed summary and compare it with the report. She said that if the FCA did not accept Andrew Green QC as an independent legal adviser, the committee might look to force the FCA to publish the report. The committee will also force publication if he concludes that the detailed summary is not an accurate representation of the full report. The FCA has already published a short summary.